Just a quick update on my Dropzone Commander project. Last weekend I started to slap some paint onto the base. 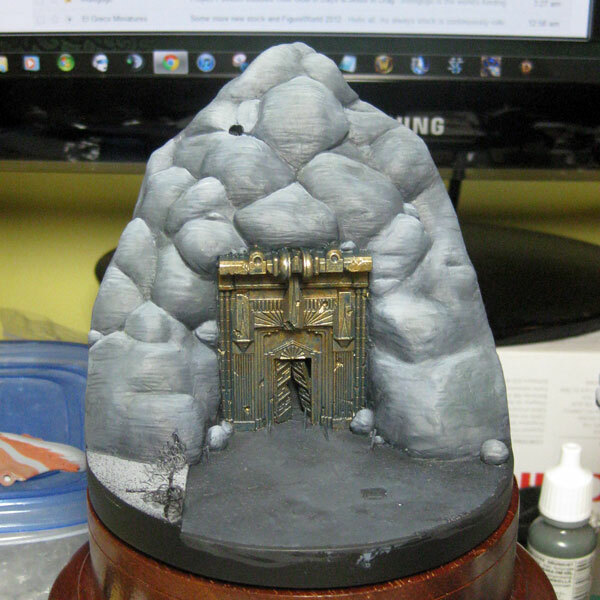 I have blocked in the main shadows/highlights on the cliff face and started to work on the huge ornate and now brass door. There is going to be some serious weathering and verdigris on the door and scorch-marks on the surrounding cliff.